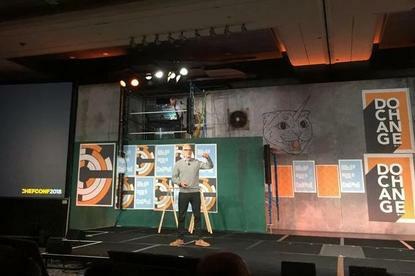 Speaking to Computerworld UK during Chef Conf in Chicago, Crist said: "We want to be like Salesforce, where you can't turn it off. I want to get to the point where if the subscription lapses you'd have people with pitchforks and torches coming to the CFO's office asking why Chef has been turned off." Chef has had an interesting couple of years, shifting away from on-premise software automation towards a world where apps and cloud are becoming central to the enterprise. Crist says that he sensed that Chef was swimming against the tide - "on the wrong end of history" as he put it - during Chef Conf a couple of years ago, and decided to make some big changes to its offerings. Customers were increasingly stretching Chef's software from its original purpose of infrastructure automation to do app automation and compliance. This led to the acquisition of German company VulcanoSec in 2015, creating the InSec compliance automation tool, and then released Habitat, a tool for automating apps in production regardless of where it runs, making them more portable and infrastructure agnostic. Co-founder and CTO Adam Jacob also came back from an extended holiday to run product and engineering and completely re-architect Chef's enterprise offering for what would eventually become Automate 2.0, which was released this week. Now with Automate 2.0 the company has built around three pillars: effortless infrastructure, automated compliance and making software in one way across the organisation, or "any app, anywhere" in Chef's marketing department's words. Speaking on stage earlier in the week Crist said: "We rebuilt Chef around where we think the new world is going. When we released Habitat I know the market didn't understand and half the company didn't understand, but I want to thank you for believing in us and for listening so that we can drive these very things we are talking about." Crist admitted again to Computerworld UK that Habitat was a bit of a leap in the dark for the company, but that he "couldn't be happier about how it's gone". Lastly, Chef remains a private, VC-backed company, but Crist admits that they are making the sort of moves expected of a company moving towards an IPO. This includes the hire of new CFO Curt Anderson, who was Satya Nadella's CFO when he was heading up the Server and Tools division at Microsoft, as well as moving from backend systems like Quickbooks onto more sophisticated systems like NetSuite. However Crist refuses to put a timeline on any potential IPO, instead focusing on customer success. "If you look at where we aim most of our investment, it is in customer success... that is the foundation to being a long-term successful company," he said. This, again, is a nice analogue to the SaaS giant Salesforce, which has built its company on customer success, and that worked out pretty well.